� He is in the top 1% of the breed in seven traits: WW, YW, RADG, CW, $W, $F, $B. 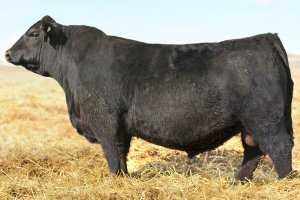 � His dam�s (#1602) record is 3 NR@ 119 and 3 YR@ 114. � Grand dam 5515 has 9 NR@ 103 and 7 YR@ 103. � Great grand dam 3833 was 7 NR@ 102 and 7 YR@ 102. � The great-great grand dam was HA Rito Blackcap 9038, who produced over 200 progeny, including HA Image Maker 0415. � HA Outside 3008�s dam (#1575) has 3 NR@ 105 and 3YR@ 103 and is becoming one of our very top cows. � The 8066 cow has 5 NR@ 104 and 4 YR@ 104, along with four daughters retained in our herd. � The next cow back was HA Rito Lady 4167, who at the time we sold her, was the high ribeye area cow of the breed; she is also the dam of HA Power Alliance 1025. 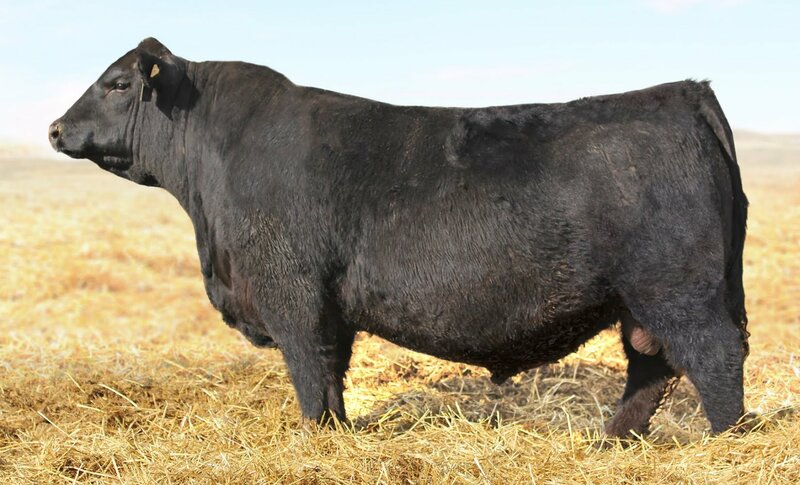 � Two other notable animals in this pedigree are the dam of the 0210 cow, GDAR Forever Lady 9163, who was unquestionably one of the strongest daughters of DHD Traveler 6807. � The paternal grand sire to the dam of Cowboy Up is HA Program 5652, who has left us with some of the most outstanding females in our herd. � Cowboy Up has more growth performance than any bull we have ever produced and is also extremely docile. � 5405 is as wide topped, deep sided, long bodied, wide based kind of bull as you will find. � I named his sire Outside because he looked like he would sire progeny that could live outside in the big country and excel in all the traits that keep ranchers in business. This strong group of Outside sons looks like he has lived up to our expectations. The name, Cowboy Up, just kind of fits, as this bull has done everything we could have hoped for and more. Balanced trait qualities at their best.